First published in 1935 and as powerful and as fresh now as then. Neil Gunn is a great writer. An old fashioned writer withgreat grammar, anunderstanding of the subtleties of thinking, nuanced phrasing and a cultural,political and historical sweep tohis subject. Reading this book can teach one how to write. He is factual and imaginative at the same time. Heallows the reader tograsp the thought of the beginnings of whisky. He opens ones thinking about the past and from that the future. As it is written in 1935 Gunn uses the pronoun he constantly. But if one can get beyond this one can appreciate his clear thinking and systematic understanding. I see this book as showcasing the Scottish engineering mindset that we were known for throughout the world. The Scottish thinkers and philanthropists of the past informed Neil Gunns thinking and way of seeing things. He brings this clarity to his book on Whisky. 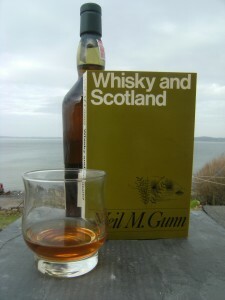 This book will not just teach you about whisky, it will show you how to think ~ and not just about whisky! It needs patience to read. It is not a big book, but, the intricate strands of phrasing are not what we are used to reading these days ~ especially not ina whisky book. It is not complicated. It is very clear, but it is a book one must pay attention to. There is so much intelligence in this book, it would be a shame to miss it. 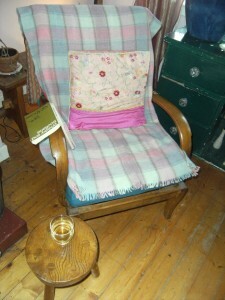 Pour yourself a lovely dram, find a comfy seat, and read this wonderful book.